International Yoga Day- Since ancient period, the benefits of yoga, as touted by many practitioners have gained a tremendous upsurge in their popularity. While many skeptical fitness freak, still collaborate yoga with latest mysticism or the new age workouts at the gym; yoga is actually believed to be an ancient practice that syncs your mind with body and spirit. The practice revolves around the elevation of life forces at the base of the spine and achieves ultimate coordination of mind and body, through series of physical and mental asanas. Fortunately, it is not necessary to be an expert to reap the health benefits from yoga; however, understanding them through expert perspectives and incorporating in daily practice can definitely change your lifestyle, through all kinds of unexpected ways. Today, on the occasion of International Yoga Day, let’s take a step towards a healthy mind and body, by understanding its medical importance. A consistent routine, incorporating yoga practices has been found to be important in improving blood circulation and flow of oxygenated blood towards different vital organs of the body; thus, reduces the tension and lower blood pressure. Yoga is based on the basic foundation of a breathing. Number of yoga asanas can be practiced, which can improve your breathing pattern, maximize your lung efficiency and minimize your respiratory rate. Thus, slow respiratory rate, complete relaxation and better fitness can be achieved through controlled breathing exercises. Improving metabolism is all about maintaining a perfect ratio between weight, height and your hunger quotient. Thus, if you practice yoga asanas very consistently, you will be able to achieve perfect balance between better metabolism and efficient eating pattern. A survey has been conducted to analyze ability to tolerate and cope up with the pain; and off course is found to be better amongst those, who are regular yoga follower. Yoga asanas have been designed to manage with some instances of chronic back pain and muscle pain, and have been reported to be very helpful for increased pain tolerance. If you are the firm believer of yoga practices, you will be able to be more attuned to your body, which will help you to regularize your stress level, hormonal imbalances, work efficiency and sleep pattern. Thus, yoga can be referred to as an exclusive solution to your lifestyle issues. Detoxification delayed aging and better sexuality. Improved synchronization of different organs and hence better achievement of integrated functions. Better metabolism can provide perfect posture and shape to your body, making it alert, aware and all-day active. Yoga may as well add up to reduced hostility, improved concentration, and memory, more self-control and self-acceptance; thus, leading to the positive outlook of life. Daily incorporation of yoga has been found to be very helpful in reducing cholesterol, blood glucose, sodium levels, triglyceride levels and improve production of red as well as white blood cells, collagen synthesis and production of different essential vitamins. Studies have reported that yoga can be very helpful in prevention as well as management of diseases, such as Heart disorders, Osteoporosis, Alzheimer’s disease, Diabetes Mellitus, etc. Maintaining a proper routine through yoga practices can be helpful in better management of arthritis, multiple sclerosis, cancer, muscular dystrophy and auto-immune disorders. Conclusively, although yoga practices are believed to provide a lot of health benefits for the complete mind and body portfolio; however, it cannot be used as a substitute for medicine. 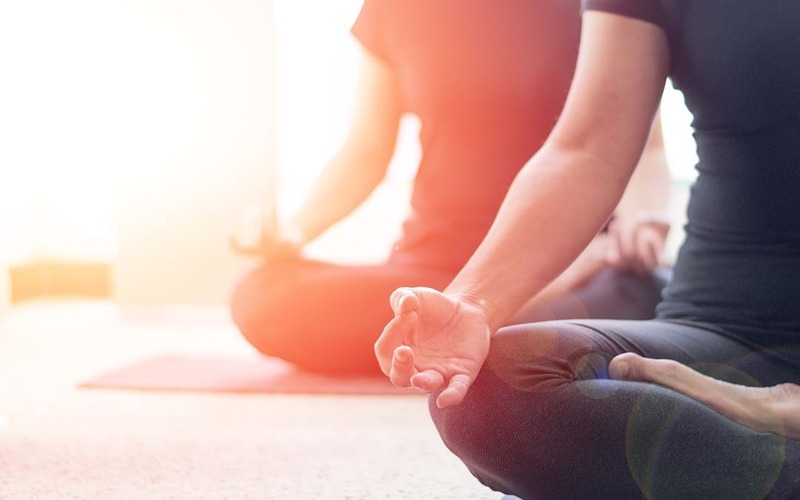 Thus, it is always advisable to practice yoga routinely; but if you are facing any medical condition, it is better to consult a doctor to know available treatments in modern medicines, like stem cells therapy.